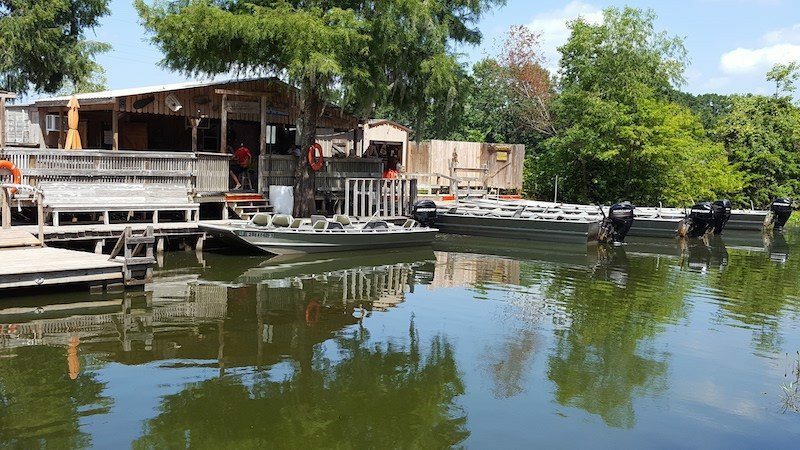 Enjoy all the beauty and excitement of the Lake Martin Cypress Island Preserve Swamp on one of our relaxing authentic Cajun Lake Martin swamp tours. Our swamp tour rates are very reasonable. Tour departure times vary depending on reservations and the amount of visitors. Reservation cancellations require 48 hour notification. Your credit card will be charged if notification is less than 48 hours before day of tour. Please do not reserve seats if you’re unsure about certain members of your group attending. You will be charged for no-shows. We will try to accommodate extra people as walk-ins if space is available. Please contact us within 48 hrs to cancel your reservation if your plans change. Get up close & personal with Lake Martin’s Gator’s on our authentic Cajun Louisiana Swamp Tour! We offer tour time’s to fit anyone’s schedule. Notice: Our Boats have Limited Seating, please call to cancel your reservation if your plans change. Please arrive 20 Minutes Before Departure Time, Thanks. Tours depart from our patio boat docks which are handicap accessible.